This extremely versatile device comes with four filters. First, a pre-filter that tackles dust, pet hair and other larger particles. Next, a HEPA filter that captures smaller particles; followed by a charcoal filter designed to tackles odors; the fourth filter is interesting, because there are several options the consumer can opt for. There are four options for your fourth filter: my two favorite are the “pet allergy” filter, tailored specifically toward allergy defense; and the “odor remover” filter, geared toward people living with smokers. The fourth filter offers an extra “boost” in the area of your choice; but the SPA-700A can do it all, regardless. 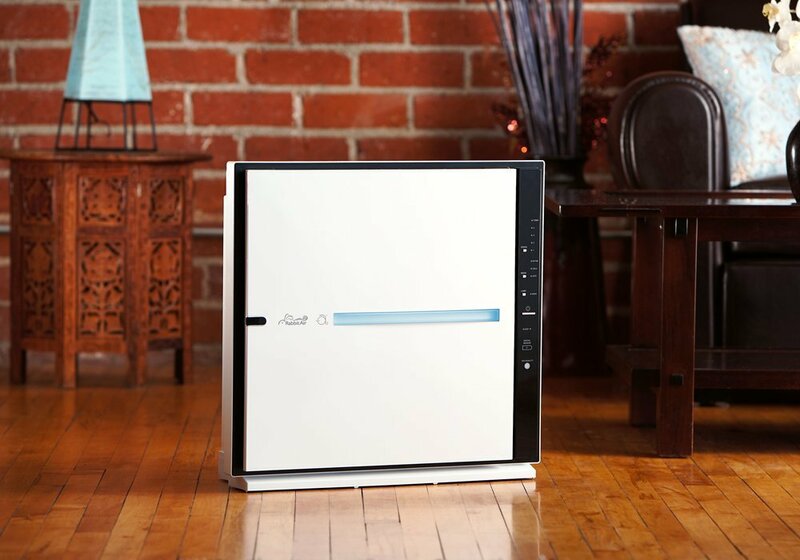 As mentioned before, some consumers just aren’t comfortable spending $500 on an air purifier. And that’s fine! If you are casually looking to improve your air quality, you don’t need to spend more than $250 – check out some of our other reviews to find devices that better fit your budget. The unit’s biggest selling point is its performance and range; it doesn’t try to hide behind cute features or “neat” quirks. This is a no-frills, heavy-duty device that is concerned only with power and efficiency. The device specializes in removing particulates from the air; it deals extremely well with mold spores, VOCs and all types of allergens – fur, dander, plus all the stuff you can’t see. It handles dust very well, too. This device boasts a CADR rating of 300 and can circulate a room’s air up to 5 times per hour – even when placed in very large rooms. The manufacturer defined the unit’s maximum coverage as 465 square feet – in other words, a 21′ x 22′-sized room. That’s a fair number, and the HPA 300 easily lives up to that billing. But I think that number may even be conservative; there are reports of the device working very effectively in spaces up to 750 square feet – which, for a medium-sized purifier, is pretty absurd. You just don’t see that kind of coverage very often. 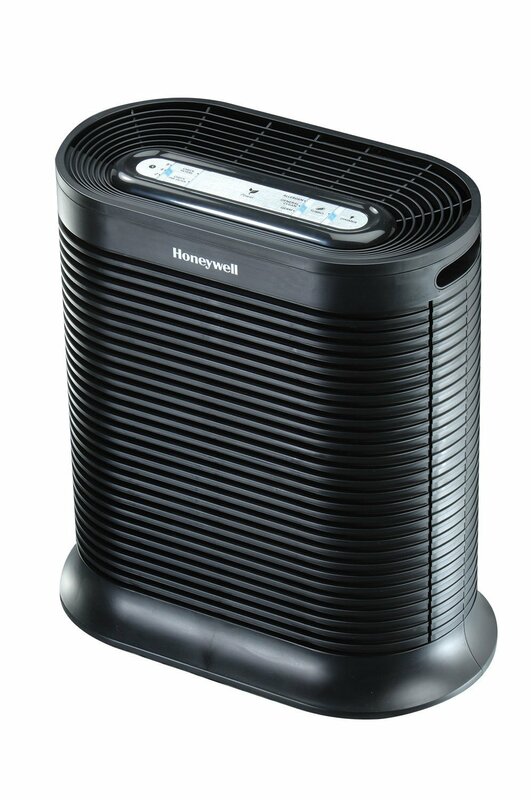 High-performance air purifiers are typically less energy efficient, but the HPA 300 bucks that trend a bit. This device is Energy Star certified, and it’s very efficient relative to its performance. This device has four settings, which all draw different amounts of energy. On its lowest setting, it draws about 40 watts. It’s two middle settings will draw between 70 – 100 watts; meanwhile, the highest setting draws about 130 watts. Obviously, this device becomes less energy efficient as you ramp up the work-rate. 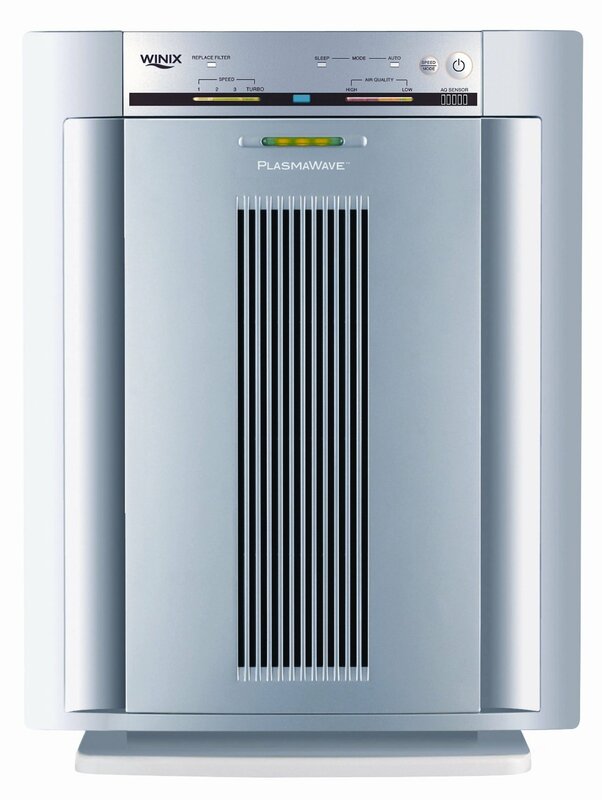 But even at it’s highest setting (130W), it’s fairly efficient relative to other units that perform similarly. Remember, there are units that will draw up to 200 W to clean rooms smaller than what the HPA 300 is built to deal with. This unit is one of the most powerful “budget-buy” air purifiers you’ll ever find. It’s very difficult to find a purifier for under $200 that is capable of purifying large rooms efficiently and effectively. But that’s exactly what the Winix 5300 delivers. 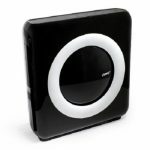 With a coverage area of 350 square feet, the 5300 is great for all the medium-large sized rooms in your house. Performance-wise, the 5300 is well rounded and very powerful against a variety of pollutants – although decidedly least effective against odors, relative to its performance against other pollutants. 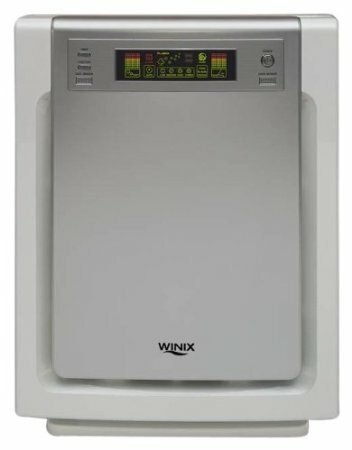 The Winix WAC9500 may look like a sleek mini-fridge at first glance, but this is a great device. The pre-filter takes care of the big stuff (hair, fur and dust), then the HEPA filter tackles the much smaller stuff. The carbon filter leaves a bit to be desired (I’ll get into that later when I talk about how the device handles odors), but the PlasmaWave technology is a very cool touch. The device boasts a very intelligent design. It’s a bit bulky, but it’s fairly thin so it doesn’t take up that much space. Further, the device has a sleek, clean control panel where you can see visual displays of the levels of odor and dust in the room. There are four fan speed settings; depending on the setting, this unit will use between 8 watts and 70 watts. In this respect, it lives up to its Energy Star rating; the efficiency will allow you to leave the device on overnight, or when you leave the house, without killing your energy bill. The device is very quiet as well, especially on the lowest three settings.